Nestled in the Simi Hills, where avocado groves, luxurious family living and high-tech industry coalesce and offer an ideal destination for both business and pleasure. 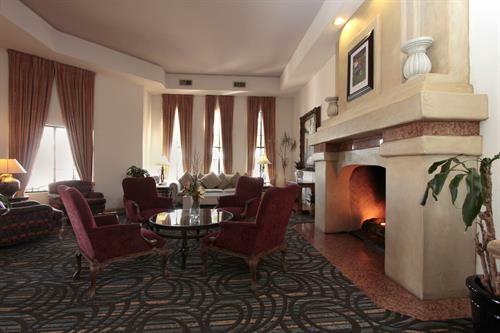 Our Mediterranean romantic style and generous amenities are in perfect harmony with the desires of today's traveler. Carefully selected and trained staff, well-appointed guest rooms , sumptuous suites, elegant wedding and professional conference service await you. Our exclusive property is located halfway between Los Angeles and Santa Barbara. Only minutes from the Ronald Reagan Presidential Library, award- winning golf clubs, historical landmarks and upscale shopping. 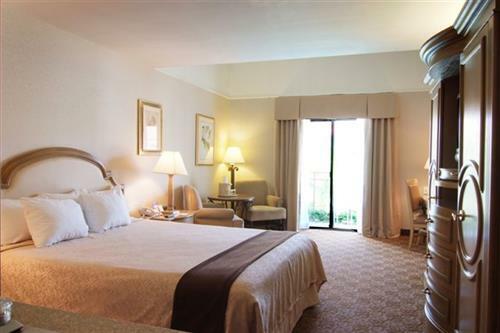 All of our Deluxe rooms, Executive and Luxury Suites offer the pleasures of a hotel experience. You will find each carefully designed space is equipped with a refrigerator, microwave, coffee maker, hairdryer, magnifying mirror, iron and ironing board, spa toiletries, pay per view movies and weekday newspaper delivery. 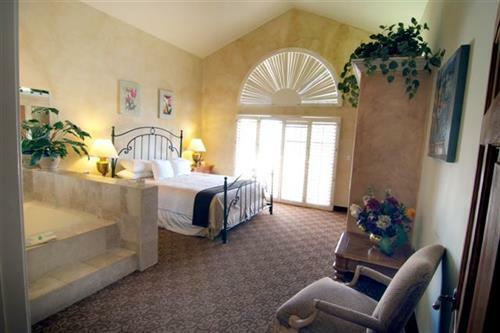 Many of our rooms offer vaulted ceilings and balconies with views of our courtyard, pool and garden areas. Our Luxury Suites inspire elegant living, some at over 500 sq. ft. with oversized jacuzzi tubs! Mornings have never been so good. Our complimentary daily buffet breakfast includes an Omelet Station with eggs cooked to order and more. 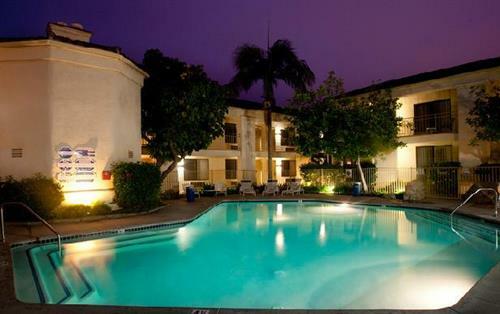 Enjoy our heated pool, spa or fitness facility. We have over 5,000 sq. 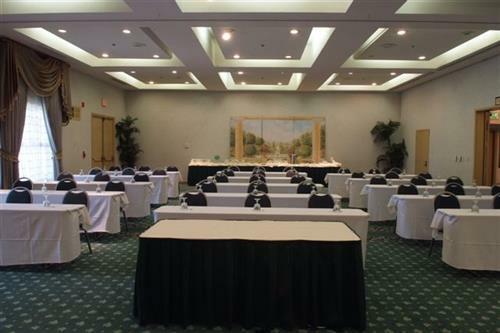 feet of banquet space including our Grand Ballroom's updated decor and our charming Club Royale with french doors facing patio/waterfall views. We can accomodate 10 to 250. Wedding and Conference service. Your choice of Deluxe rooms, Executive and Luxury Suites! 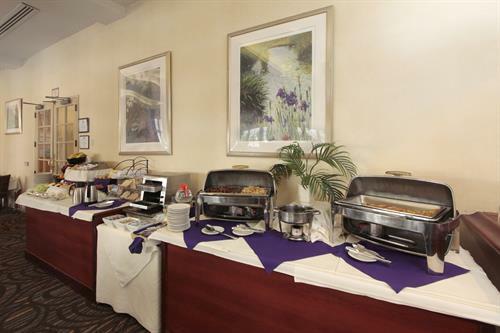 Complimentary daily full Breakfast Buffet w/ Omelet Station! Over 5,000 sq. feet of banquet space! 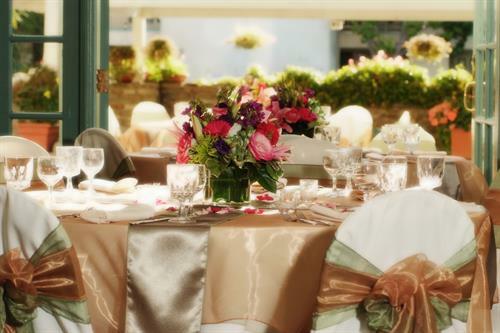 Elegant wedding and professional conference service! Large heated pool, spa and fitness facility! Take the Interstate 5 or 405 to the 118 West to Simi Valley. Exit at Madera Road (South) and proceed past Los Angeles Avenue to the Posada Royale Hotel & Suites.